For room reservation, please contact the hotel directly under +420 222 888 888 or prague.marriott@marriotthotels.com. 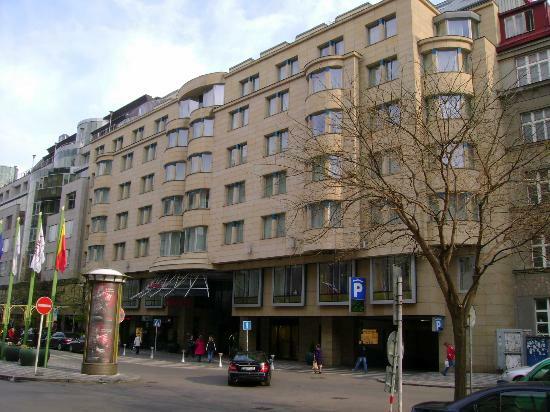 The ICPWS Conference Hotel is located in the Prague city centre. All beautifully designed rooms and suites provide a home away from home, with newly renovated decor, deluxe pillow top mattresses, high-speed Wi-Fi and flat-screen TVs. Enjoy a coffee at Espressamente Illy, our hotel's on-site coffee house, or treat yourself to a perfectly prepared steak at Midtown Grill. Those looking to explore Old Town Prague city centre will find our hotel ideally situated near Old Town Square, the Charles Bridge and other legendary attractions.